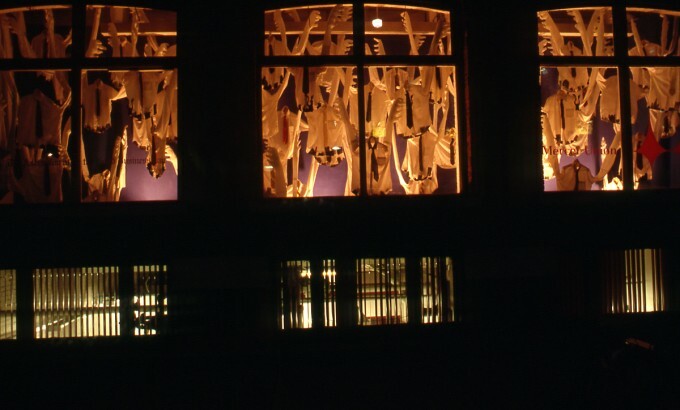 Morton’s window installation was inspired by her daily bike trips up Bay Street and by her belief that in some way or another, each of us has aspirations of transcendence. Janet Morton has recently exhibited in a number of group shows throughout Ontario including the Galleria, London and at Artsite in Windsor. 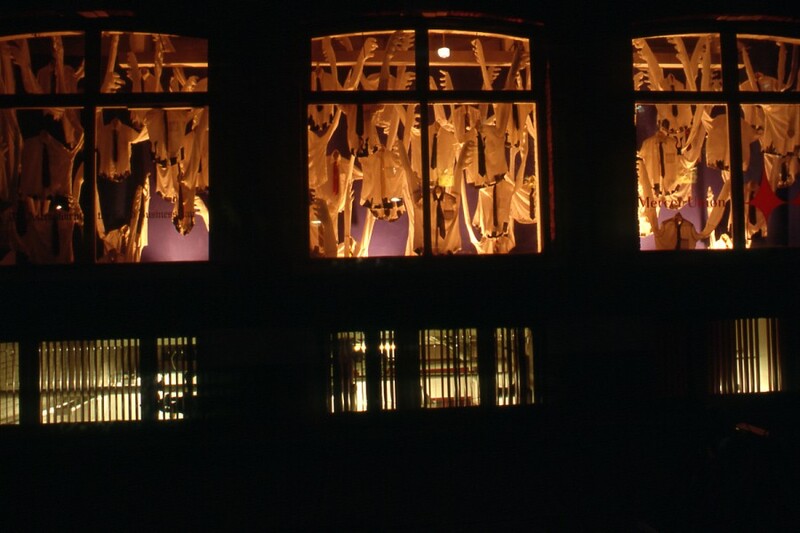 She has produced installations for The Works Festival in Edmonton, 1994 and for the Modern Fuel Gallery in Kingston, 1997 and has participated in Toronto’s Duke-u-menta 96.